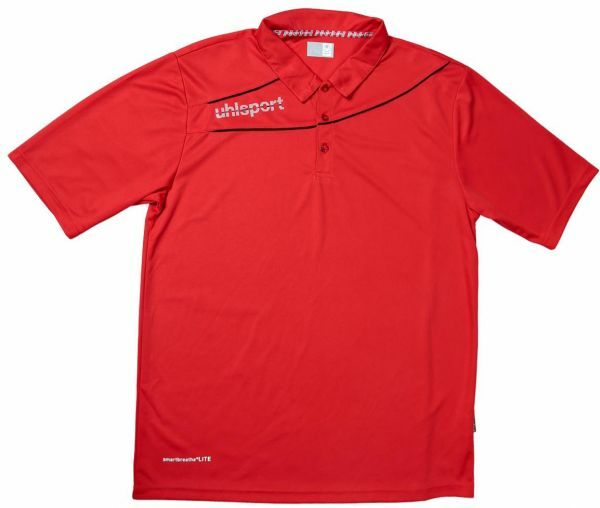 Uhlsport branding and embossed Uhlsport on right chest as well as black stripes on the chest of this 100% polyester Polo shirt. This Uhlsport Polo shirt is a casual, easy-to-wear look for your everyday wardrobe. This Uhlsport Polo shirt has unique Smartbreathe Cool fabric which provides an ultralight feel and superior performance.